The Charities Governance Code was published by the Charities Regulator on 7 November 2018. The code consists of six principles of governance which all charities should apply. Charity trustees are responsible for the governance of their charity and should make sure that the following governance principles are being applied. 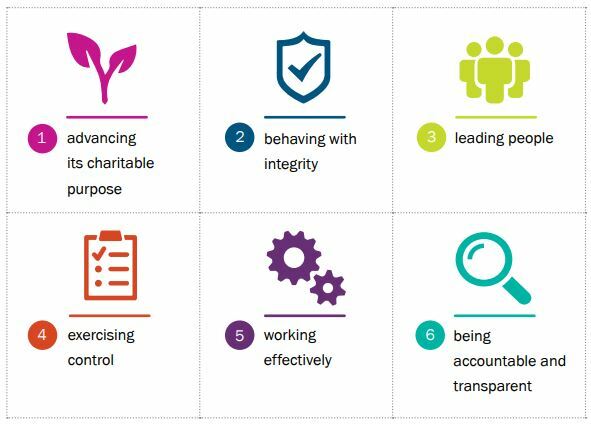 Each of the six principles has an accompanying core set of standards, which provides practical guidance to charities for implementing each principle. The code sets out the 32 core standards that all charities should meet when putting the principles into action. It also contains 17 additional standards that reflect best practice for charities with high levels of income and/or complex organisational and funding structures and/or significant numbers of employees. Is the Code mandatory and if so, from when? The code is relevant to every charity operating in Ireland. The Charities Regulator intends that 2019 will be a “year of learning and preparation for charities” in relation to the Code. All charities are then expected to comply with the code by 2020 and, from 2021, all charities will be required to report on their compliance with the Code on an annual basis, by filling out a (50 page) Compliance Record Form. The Form will require a charity to provide evidence as to how it has complied with each core and/or additional standard within the Code and if charities are not complying, they will have to explain why not. What should charities do to ensure that they comply? Click here to download a copy of the Charities Governance Code. For more information on ensuring compliance with the Code, contact Roseanna O’Hanlon or a member of our Not-for-Profit team.